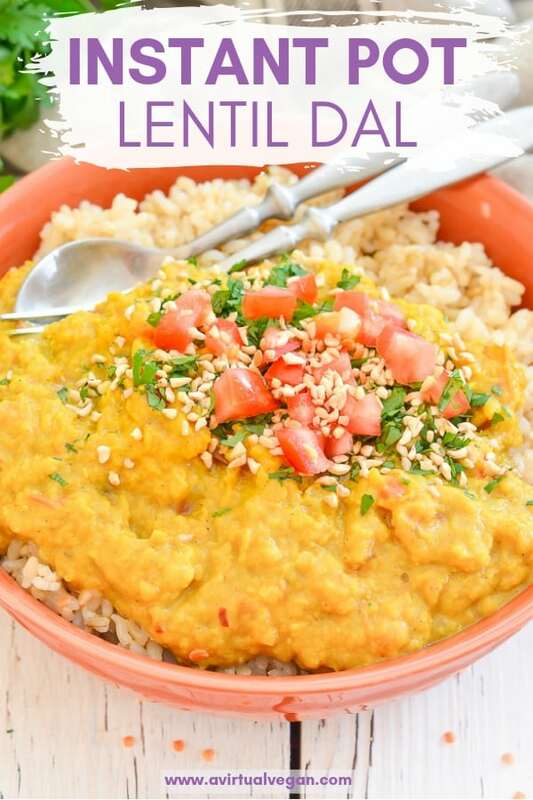 Transform your red lentils into something amazing with my creamy Instant Pot Lentil Dal. It makes a really easy, super tasty, healthy & budget friendly dinner and is perfect for meal prepping as it reheats and freezes perfectly! 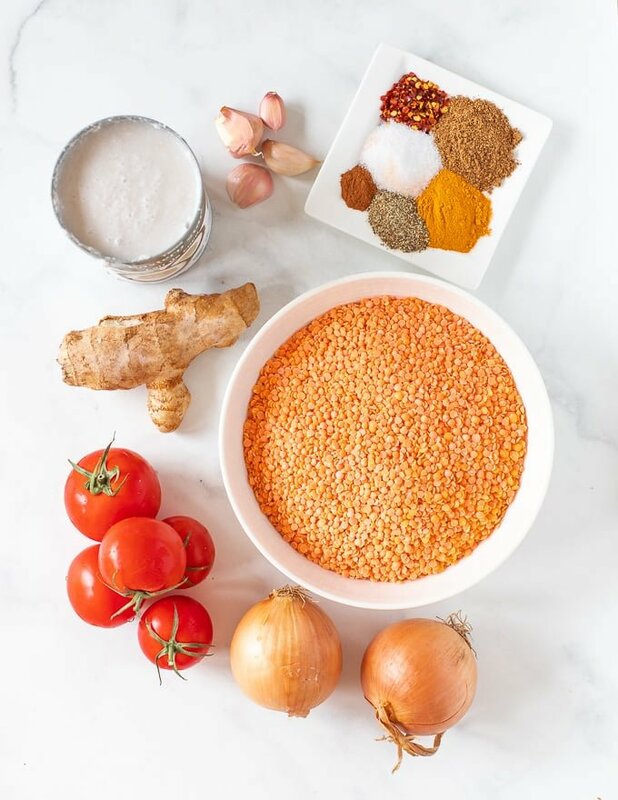 Grab a few handfuls of lentils, some spices, and an Instant Pot and transform them into a pot of creamy, delicious Instant Pot Lentil Dal that’s economical, nutritious and will make your tastebuds dance! 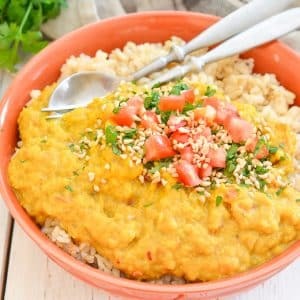 This recipe might seem familiar, and that’s because it’s an adapted version of my Red Lentil Dahl. It didn’t need much changed to make it work really well in an Instant Pot. 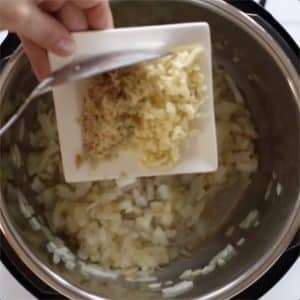 And as luck would have it, lots of you had Instant Pots for Christmas and have been asking for more Instant Pot recipes so how’s this for timing. 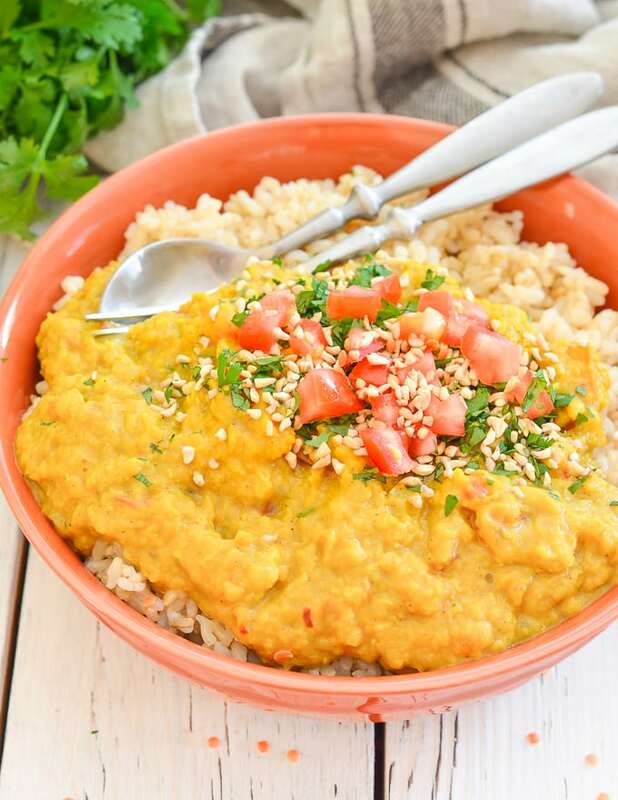 But, if you don’t have an Instant Pot or other other electric pressure cooker, and you really want to make this recipe, hop on over to my original Red Lentil Dahl recipe and you will find detailed stove-top instructions. 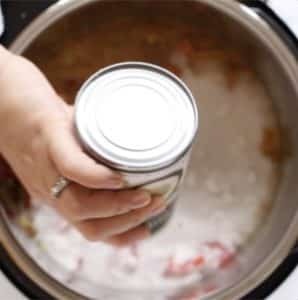 I use mine literally every single day for everything from cooking my Instant Pot Steel Cut Oats, cooking grains, dried beans like my Pressure Cooker Black Beans and for making soup, stews and curry. I wouldn’t be without it. It’s the newer version of mine and I think just perfect for a medium sized family. There are 3 of us and it easily makes enough for 2 dinners plus some leftovers. I already have a stash of vegan Instant Pot recipes, and there will be lots more to come, so if you do decide to splash out on one you will have a plentiful supply of yummy things to cook going into the future. 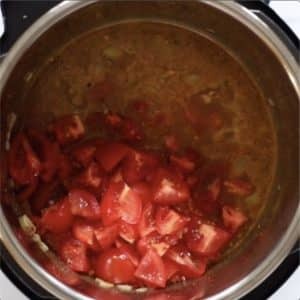 HOW DO I MAKE INSTANT POT LENTIL DAL? 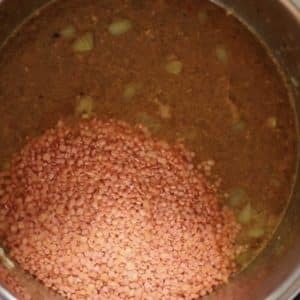 It really is so simple to make Instant Pot Lentil Dal and the results are absolutely fantastic. It’s one of our favourite family meals. Pour in some water and scrape the bottom of the pan well. Add lentils and tomatoes. Add coconut milk and stir really well, then put the lid on, seal it and cook as directed in the full recipe below. A sprinkle of cilantro, some fresh chopped tomato and a few chopped peanuts or cashews over the top (like in my pics), really compliment it too and help to turn it from midweek dinner, into a posh treat yo’self (or someone else) kind of meal. 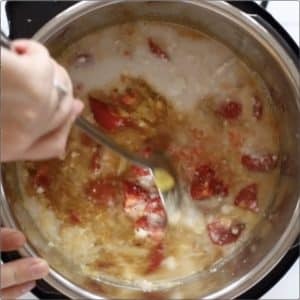 Almost completely hands-off – Set the Instant Pot and forget. 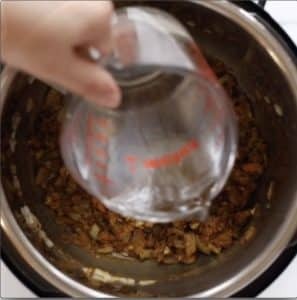 Set the Instant Pot to sauté and add the oil or a few tablespoons of water. Sauté the onions for 3 to 4 minutes until they are just starting to turn golden, then add the ginger and garlic. 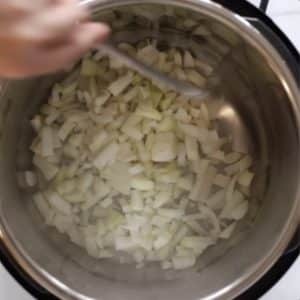 Cook for a further 2 minutes, stirring frequently. 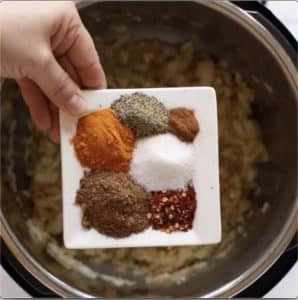 Turn off the Instant Pot then add all of the spices and seasonings. Allow them to cook in the residual heat of the pot for about 1 minutes, stirring them constantly. Add the water to the pot, and using a metal spoon, have a really good scrape into the bottom of the pot all over, to mostly remove the brown bits from the bottom. This step is important because otherwise you could get the "burn" message popping up on your display later. Next add the lentils, tomatoes and coconut milk and give it all a really good stir. The lentils will likely have clumped up a bit so break them up as you stir. 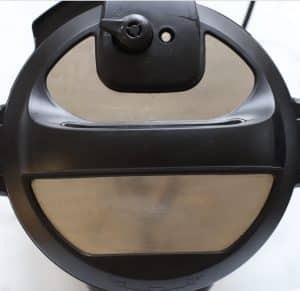 Put the lid on the Instant Pot, seal the vent and set it to MANUAL (PRESSURE COOK) on newer models, high pressure, for 8 minutes. Allow the pressure to release naturally. Remove the lid and give it a really good stir then serve. Serve this Instant Pot Lentil Dal with rice, cauliflower rice, quinoa, naan bread or poppadoms. I also recommend you make some of my Lime Slaw as the 2 together are incredible. It's also really lovely with chopped fresh tomatoes, chopped bell pepper and chopped nuts and cilantro sprinkled on top. This Dahl reheats beautifully and will keep in the fridge for around 5 days. Leftovers taste even better. It also freezes very well.